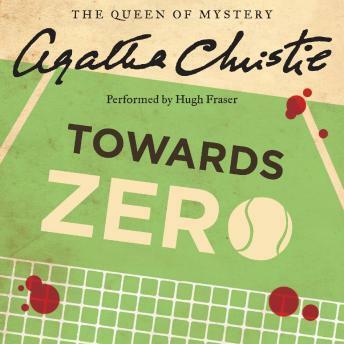 One of Agatha Christie’s own ten favorite novels, Towards Zero puts Superintendent Battle and Inspector Leach on the case as they investigate the murder of an elderly widow. What is the connection among a failed suicide attempt, a wrongful accusation of theft against a schoolgirl, and the romantic life of a famous tennis player? To the casual observer, apparently nothing. But when a house party gathers at Gull’s Point, the seaside home of an elderly widow, earlier events come to a dramatic head. As Superintendent Battle discovers, it is all part of a carefully laid plan—for murder. Hugh Fraser performs absolutely magnificently (as always). I like the story very much, too.